Frequently asked questions on obtaining permanent residency, living and working, real estate, business and tax law in Panama. Can’t find the answer you’re looking for? Contact us and we will be happy to assist you and provide additional information. I have a police record, can I still apply for residency? If there are any marks (no matter how minor or how long ago) on the police record you must apply for the Visto Bueno before you submit your permanent residency application. This will take 3-6 weeks where Immigration will determine whether or not you will be eligible for residency in Panama. Unless you were charged with a felony, denials are rare. Where must I obtain my police record if I have been living abroad? If you have been living abroad for more than 2 years and have a second photo ID (such as a driver’s license or residency card) issued more than 2 years ago, you can obtain a police record from the country you are living in. If you cannot provide this proof, you will have to obtain the police record from your home country. How long are our documents valid for? Police reports, birth certificates and marriage certificats are valid for 6 months only. You may have to request a reprint of the original or a certified copy with the current date. Please keep in mind that immigration holds onto these documents and they will not be returned. Can I apply in either Panama City or David? Indeed, we have offices in both Panama City and David. If you are planning on applying in David, please let us know as there are additional steps that need to be taken as well as a few restrictions depending on which visa you are applying for. Can I include dependents after I have filed my application? It is possible to include dependents at a later stage. However, this will be a separate process under the regrouping visa where dependents will obtain temporary residency for 2 years. After the 2 year period, they will qualify for permanent residency. As this is a lengthy and more expensive process, we recommend families apply together at the same time. Yes, everyone who is included in an application is required to apply in person. Every applicant is also required to complete the process in person as well once the residency has been approved. Do I have to return to Panama within 6 months to finalize my residency? Residency applications are approved within the 6 month period. Although we typically recommend that you try return to complete the process once the residency has been approved within the 6 month period, it is not necessary. However, keep in mind that once the temporary ID has expired and you have not returned to finalize the residency, you will be fined a penalty fee of USD 50 per month per person. How do I maintain my residency? No matter what residency visa you applied for, residency in Panama must be maintained. You can do so by visiting Panama every 2 years for at least 1 day. If 2 years passes by, the resident card will be suspended. Immigration will then give the applicant an additional 2 years to reinstate their residency status. If residency has not been reinstated after the 4 year period, residency can be revoked. Can I purchase a one-way ticket into Panama? No, border control requires an onward/exit ticket. A return flight is not necessary, a flight to Costa Rica or Columbia is sufficient and may be a more affordable option. Once you have obtained the permanent ID, you can then purchase one-way tickets into Panama. Can we stay in Panama during the residency process? You can enter and stay in Panama up to 180 days as a tourist. Once you have filed your application, you will receive your temporary resident card and multi-entry visa which will allow you to stay in Panama or travel abroad as needed. I want to travel Panama during my visit, how long do I need to be available for immigration purposes? We recommend planning a minimum of 10 business days to submit your residency application. We will need you for 3-5 business days to visit our offices and immigration. Immigration will hold onto your passports for 2-3 business days to issue the multi-entry visa, however, you are welcome to travel domestically throughout Panama during that period. Typically, you will receive your passport back on the 6th business day. We recommend 10 business days in case there are any unexpected delays such as the government systems being down. Do I need any vaccinations to enter Panama? Panama does not require any vaccinations. If you are connecting through another country, such as Brazil, the yellow fever shot may be required. Can I drive with my current license? Tourists can legally drive in Panama with their current driver’s license for 90 days. However, once you have submitted your residency application and recieve your temporary ID, you are required to obtain a Panamanian drivers license. If you have filed your application and are caught driving without a Panamanian license, you will be fined and your car will be towed. Do children need the multi-entry visa? After submitting your residency application, you must apply for the multi-entry visa in order to travel in and out of Panama. If you do not obtain the multi-entry visa, you will be fined USD 2000 when your re-enter Panama. Children under the age of 18 will not be fined, and as such, do not require the multi-entry visa. How do I get around Panama City? Uber is a safe, reliable and affordable way of getting around Panama City. Sign up here and get your first ride free with promo code: michelleh13111ue. Opening a bank account is required to fulfill the financial solvency requirement of the Friendly Nations Visa. Must I maintain a balance in my Panamanian bank account? Different banks have different rules and regulations and you would need to inquire with them directly for additional information. Our recommended bank does not require a balance and in fact, once you have deposited funds into the account you can use them almost immediately. I can't provide my most recent tax returns, how else can I prove my proof of income? Requirements to open accounts will vary from bank to bank and even from branch to branch. Some banks will require tax returns to open accounts others may accept a letter of employment or an income statement drawn up by an accountant. While opening a corporate account is possible, it is a very complicated and time-consuming process. Please contact us for additional information. How can I ensure my privacy in the corporation? Directors’ names are entered into the Public Registry. Therefore, if you would like to remain anonymous, you can utilize Kraemer & Kraemers’ nominee director services. Economic solvency is required for residency through the Friendly Nations Visa and can be fulfilled by receiving a job offer in Panama, purchasing real estate in Panama or opening a corporation. Opening a corporation is one of the most common and easiest options. There is no obligation to conduct any business during your application or after permanent residency has been approved. In fact, you can dissovle the corporation after you have recieved residency. How many shares must I own to qualify for the Friendly Nations Visa? In order to fulfill the economic solvency requirement for the Friendly Nations Visa, you must own at least 50% of the corporation. Two main applicants can therefore share one corporation in order to qualify for the visa. If you are using a corporation to apply for residency purposes only, a business license will not be required (if you are applying in David, the license is required). A general business license is required if you are planning on utilizing your corporation to conduct business. Depending on the nature of your business, additional licenses may be required. An IBC requires 3 directors and at least one shareholder. The LLC requires at least 2 managers and at least 2 partners. Depending on the goals of your company, either could be more suitable. Are any restrictions as to the type of business I am allowed to own or operate? Providing services (including restaurants) and wholesale activities are permitted however, retail businesses are prohibited to foreigners. However, you can get around this by issue. Please contact us for more information. Can I dissolve my corporation once I have my residency? Indeed, you can dissolve the corporation once your residency application has been completed. To legally work in Panama, a work permit is required (working online is the only exception). Obtaining a work permit is a separate process after permanent residency has been approved. Please contact us for additional information. Applicants who gained permanent residency through the Pensionado Visa cannot legally work in Panama. I opened a corporation, can I just work for myself? 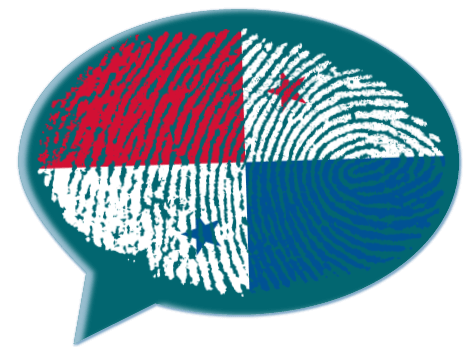 Under Panamanian Law, you are permitted to supervise your company. However, if you would like to manage and be actively involved with your company’s operations you will have to obtain a work permit. This can easily be done through the assistance of Kraemer & Kraemer. Online businesses do not require work permits. Can I purchase property under my corporation's name? Property can indeed be purchased using a Panamanian corporation. In fact, IBCs are one of the most popular legal tools for asset protection. What is the minimum value of real estate needed to qualify for the Friendly Nations Visa? Applicants who purchase real estate with a minimum value of USD 10 000 can qualify for the Friendly Nations Visa. Please keep in mind, that you must hold the title to said property. I own property in Panama, do I still need to prove monthly pension to apply for the Pensionado Visa? In order to qualify for the Pensionado Visa, you must recieve a monthly pension of USD 1000 ( USD 1250 for couples) per month. If you have purchased property with a minimum value of USD 100 000, then monthly amount needed will be reduced to USD 750 (USD 1000 for couples) per month.